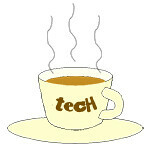 AppeDine « Tech bytes for tea? AppeDine has launched the public beta release of its trilateral F&B and lifestyle e-commerce marketplace in Singapore. The AppeDine apps were launched in Singapore at a pop-up launch at Cali Singapore at Park Avenue Hotel. The platform offers the ability to perform online transactions customised for F&B and lifestyle service providers, chefs and consumers. Users can download the AppeDine’s mobile app or visit its website for their next culinary and lifestyle experience.